With children in tow, there are many extra things to consider when planning a trip abroad. Additional luggage allowance for the inevitable entourage of teddies and sterilisers; timing flights so that you’re not travelling with sleep-deprived toddlers; ensuring that you book somewhere that will be sunny enough for the adults but not hot enough to leave you spending the entire trip searching for shade. With all this to think about, the environmental footprint of your trip might be at the back of your mind, but travellers are becoming increasingly aware of how they can use their trips away to create a positive impact. We have rounded up some of the most environmentally aware child-friendly resorts in Europe, where the whole family can be guaranteed a fantastic time and earn serious eco-points! The winner of ‘World’s Leading Green Resort’ at the 2015 World Travel Awards, Vila Vita manages to strike the perfect balance of environmental concern with family luxury. The lush 22 hectare grounds are watered with desalinised seawater from the nearby ocean, and plans are underway to use this system for all of the resort’s water. The delectable food such as fresh fruit jams and traditional olive oil is locally sourced from the hotel’s very own farm, and all of the meat is free range. The hotel’s dedication to sustainability not only helps guests feel good about their stay; it enhances the authenticity of the experience. Local pottery complementing the traditional architecture, and luxurious Portuguese bathroom amenities mean that you don’t ever get wrapped up in the resort bubble, but are thoroughly immersed in traditional aesthetics. For adults, chartering the Vila Vita’s private yacht or lapping up the luxurious spa surroundings may be the perfect way to enjoy the eco-resort’s delights. Children will be kept entertained 24/7 with an incredible kids’ club and complimentary shuttle to nearby beaches with several water sports on offer. 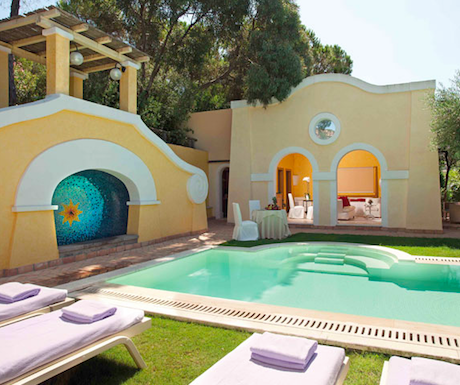 Another winner of the ‘World’s Leading Green Resort’ in previous years and overall winner of ‘World’s Leading Resort’ in 2015, the Forte Village exudes ultimate family-friendly eco luxury. Quaint bicycles and electric vehicles are the only modes of transport allowed in the resort; not only is it super eco but more fun too! Organic fruit and vegetables grow in the resort’s own orchard, which is nourished with carefully collected rainwater. An impressive 70% of the resort’s waste is recycled, as well as the water, but the world-renowned kids’ facilities will probably overshadow even this remarkable achievement. The Wonderland club with its miniature playhouse village, arts and crafts centre and guests such as Thomas the Tank and Barbie will provide a memorable base for little ones to have a fantastic time. For older children and teens there is a go-karting track, a children’s restaurant and a huge variety of activities from a World-renowned magic academy to top sports clubs. Parents can enjoy the services of a private stylist within the resort’s designer boutiques or lap up the luxury of the spa, relaxed in the knowledge that the little ones are having the time of their lives! Boasting high awards from the Green Tourist Business Scheme, the Merton hotel has everything that you could want in an eco-friendly family resort. 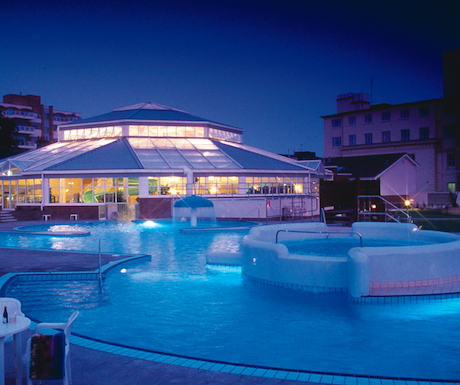 If it’s aqua adventures you are looking for, the resort’s exclusive ‘Aquadome’ swimming paradise, multiple water flumes, fountains and even a ‘Flowrider’ surf experience will surely fit the bill. Other activities for children include a crèche and playroom for little ones, an outdoor play area, gardens and kids’ club run by highly qualified staff. Teenagers are well-catered for too, with a specialised 11-16 club offering martial arts, street dance, Xbox and more. Adults can enjoy a workout in the fitness centre or on one of the outdoor sports courts before heading to one of the resort’s 8 restaurant- from 5* terraced dining to casual buffets with the family. Merton Hotel goes the extra mile for the environment as well as its guests, with its Merton Hotel Green policy. Staff often clean up the local beaches; the hotel uses energy-efficient lighting and water facilities, and produce for the restaurants is sources locally wherever possible. A perfect balance of fun and eco-friendly! This family-friendly resort in beautiful Austria takes the phrase ‘back to nature’ to another level without compromising on luxury. Guests can enjoy being surrounded by picturesque snow-capped mountains in Winter and lush greenery in the warmer seasons, allowing for a fantastic variety of outdoor pursuits. Hiking, horse-riding, snowmobile tours and mountain biking are just some of the activities on offer for guests to reconnect with nature- and that’s just for the adults. Children are treated like royalty with comprehensive baby furniture packages to make your stay fuss-free, and the children’s club provides exclusive ‘NATURE’ childcare. There are plenty of novel nature-focused activities to keep little ones entertained such as pony rides, an art & crafts centre, outdoor adventure playground and even a petting zoo! From restaurant to bedroom, the Stern hotel ensures that its presence works with the environment for a sustainable future. Climate-conscious menus are based around seasonal local produce and incredibly, a stay at the resort is climate neutral as the small amount of CO2 produced by each guest is compensated, giving the hotel a category ‘A’ environmental ranking. 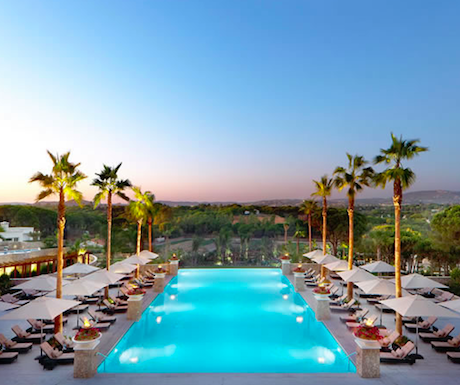 Recognised as one of the top Green Companies in the World, the Hilton-owned Conrad in the delightful Algarve takes child-friendly luxury to a new level whilst being gentle on the environment. The in-house kids’ club doesn’t just provide entertainment for young guests during the day; children are treated like VIPs with treat-filled fridges, gifts hidden under the bed, kids’ fun bathroom amenities and a range of other delights. The ‘Little C Palace’ club is perfect for either supervised activities for little ones or independent fun for older children, and kids will love the visits from the hotel’s character mascots. There is also a heated covered pool and children’s playground to ensure that guests of all ages make the most of their luxurious stay, while the adults can indulge in a concierge-arranged wine tasting tour, jeep safari or sunset boat trip. The Conrad is part of the first hospitality chain to be awarded highly in Energy Management, Environmental Management and Quality Management and collaborates with the World Wildlife Foundation to improve its sustainability. It has also reduced waste output by over 27% and water consumption by over 14% since 2008- that’s enough to fill 4,144 Olympic swimming pools! A luxury holiday with children is one of life’s great delights; spending time with the family without the day-to-day worries of life is becoming precious and rare. Taking a trip to one of these child and environmentally friendly resorts is a great way to ensure that you get the relaxation you deserve whilst creating a better world for our children. Wow what a fabulous and informative well written article. This is just the type of holiday we have been looking for, but have struggled to find all the information in one place. 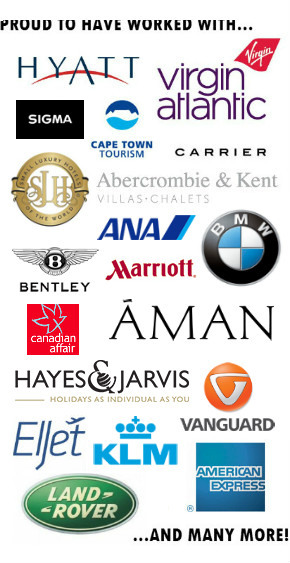 Now our only problem, is which resort to pick! Fabulous article!Thank you for your time in putting this together. We are a family of 5 living in Europe. We will have to certainly check these out.